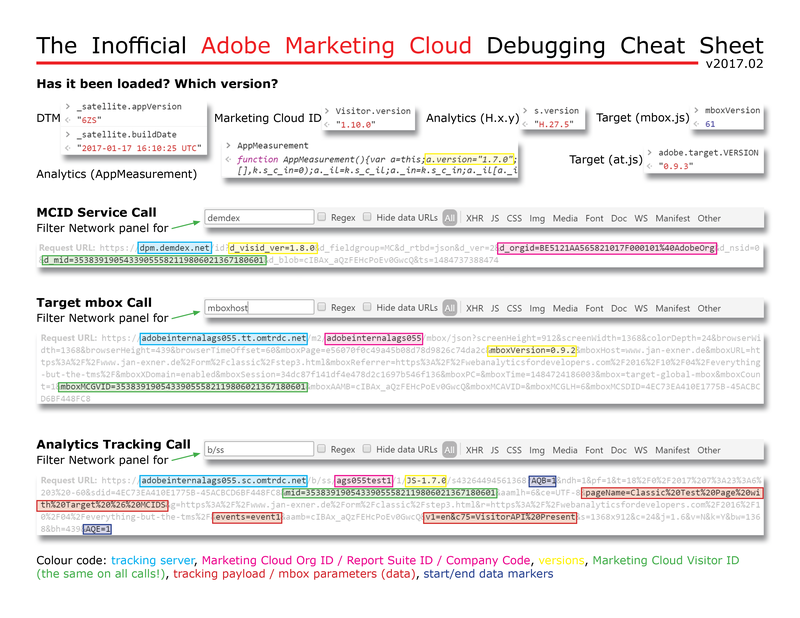 Trying to troubleshoot Adobe Marketing Cloud solutions? Have no access to plugins? Don’t despair! Below you’ll find a handy collection of code snippets that you can paste into your browser’s console and execute. Hint: triple-clicking into the boxes should select the whole snippet. Note: this works for Marketing Cloud ID Service version 2 and up. Before that, the “version”property was not exposed like this. If your page uses a “visitor” variable, the snippet will work, too. These snippets can be used in almost any browser, and you don’t need any plugins, either. For more resources around debugging, I would recommend the related article on this blog, Debugging, or the new installment, Debugging 2017.02.